YouTuber Coding Elite has shared a convincing, yet disturbing, audio recording, which he generated by using machine learning techniques to train an AI model to perform Eminem’s 2002 track “Lose Yourself” in the voice of Canadian clinical psychologist Jordan Peterson. Using six hours of “clear” Peterson audio, the creator integrated two different speech synthesis methods to make the edit sound like it’s the professor rapping. Not only does this audio mimic Peterson’s voice, it matches the way he usually speaks, including his rhythm and intonation. “The model is given thousands of short audio clips and their transcripts of a speaker and through hours of computation can learn how to synthesise speech in the style of that speaker. This is how any [machine learning] project works”, the creator, who goes by Miles, told Motherboard. — Jack Sparrow☠ (@jakomollo1) 10 апреля 2019 г. — Vaultoro J.Scigala (@Vaultoro) 8 апреля 2019 г. This is both amazing and terrifying. Manufacturing sound-bites and even video of something a person has never said will be easier than ever. Already we should start adjusting our perception of audio and video evidence and how viable it really is. — Jonas (@GuitaristOnBass) 6 апреля 2019 г. — Gogogohardcore (@gogogohardcore) 6 апреля 2019 г. — David Lukauskas (@dlukauskas) 11 апреля 2019 г. At least he has a backup career in case academia doesn’t work out. — 🧐 Bitcoin Gent! 🧐 (@BitcoinGent) 8 апреля 2019 г.
Eminem’s job is safe from the rise of the Jordan Peterson AI robots…. for now. — Funny person (@funnyparanoidR) 7 апреля 2019 г. "Success is my only motherfuking option" sounds so true coming from jbp, 1st time I heard it I almost spit out what I was drinking from laughter. — Joshua James Frandsen (@JamesFrandsen) 8 апреля 2019 г.
I think Peterson should probably just apologize to Eminem for this. And yes, I know it’s not real. But it’s really, really nerdy. — PJ Park (@PJParkster) 8 апреля 2019 г.
AI Jordan Peterson has really really awful rhythm. Even I can rap better than that. — Burt Likko (@burtlikko) 9 апреля 2019 г. It remains unknown whether Miles was aware that Peterson had once described Eminem’s 2013 track “Rap God” as an “absolutely remarkable song” and heaped praise on the rapper for being “unbelievably skilled in his ability to enunciate”. 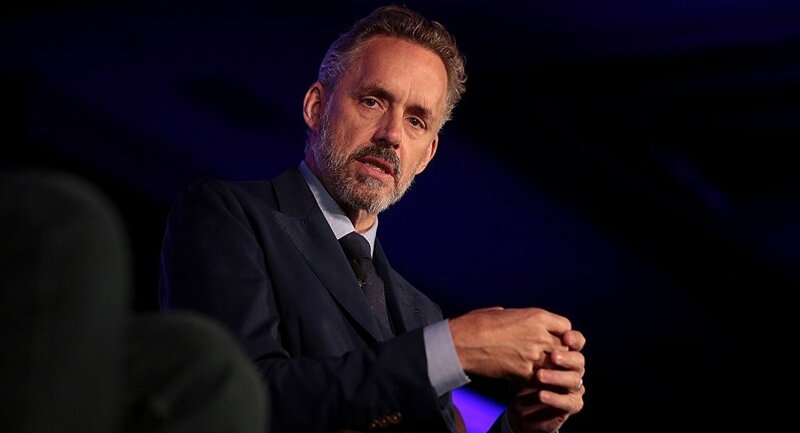 Peterson, a YouTube darling, gained international prominence three years ago as an outspoken critic of a law requiring people to use gender-neutral pronouns, which, according to him, infringes on free speech.